Remedy Entertainment's brutal racer finally breaks free from iOS. 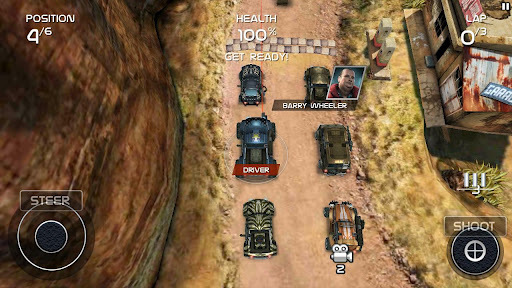 It took over a year, but Remedy Entertainment delivered its vehicular combat game, Death Rally, to Android. Available for free, this over the top and thrilling racer lets users annihilate the computer or fellow players online, as they strap a handful of weapons onto different vehicles. -OpenGL ES 2.0 graphics acceleration with the performance of Adreno205, Mali400, SGX540, Tegra2 or better. -Android operating system version 2.2 or later. The touch screen shouldn't be an issue. As for the rest, just make sure you can run the game, though it's free regardless, so you won't lose anything other than time.